This week we're excited about one of the biggest pieces of the ResponseSuite pie, all freshly baked and delivered piping hot into your account! …and it's a bit of a beast! We're all about making YOUR marketing campaigns sizzle, and that means sending each prospect or customer on their own bespoke path through your business. As we keep saying… “Blanket marketing is DEAD”. You need to market TO your audience, not AT them. 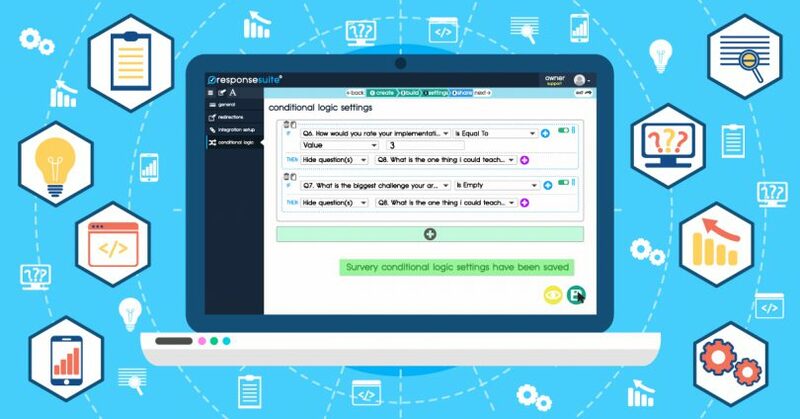 Our conditional logic engine means that you can set up powerful rules to route people through your surveys and quizzes differently, depending on their answers. And your respondent says “Dog”, you wouldn't want to start asking them questions about their cat, or llama. (Yes, people actually keep pet llamas. Who knew?). So now, you can create rules to make sure that you only show the right questions to the right people at the right time. That's the recipe for cheaper traffic, better segmentation and super-duper-charged-ninja-whoop-de-doo marketing.